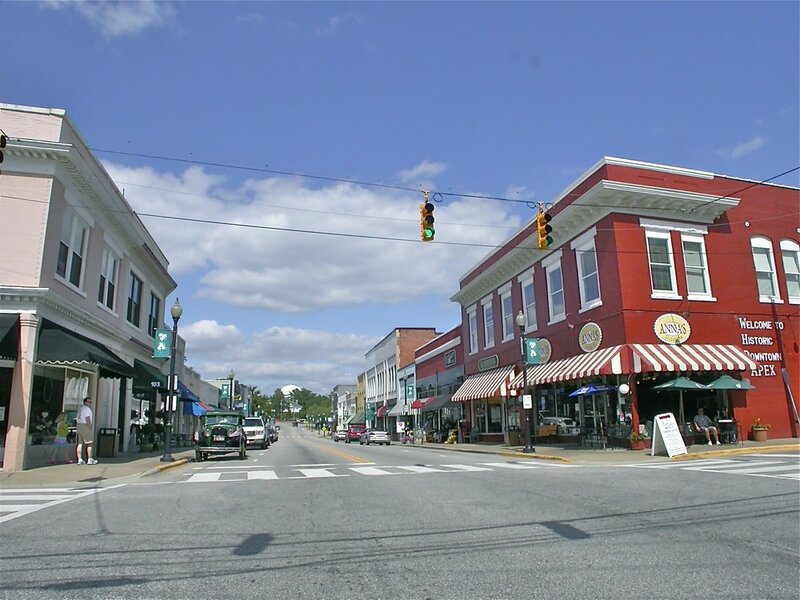 Located in the heart of historic downtown Apex, NC. At the Rusty Bucket, we handcraft all of our farm tables to last for generations. We stand behind our craftsmanship, which is why all of our customized farm tables include a lifetime warranty. 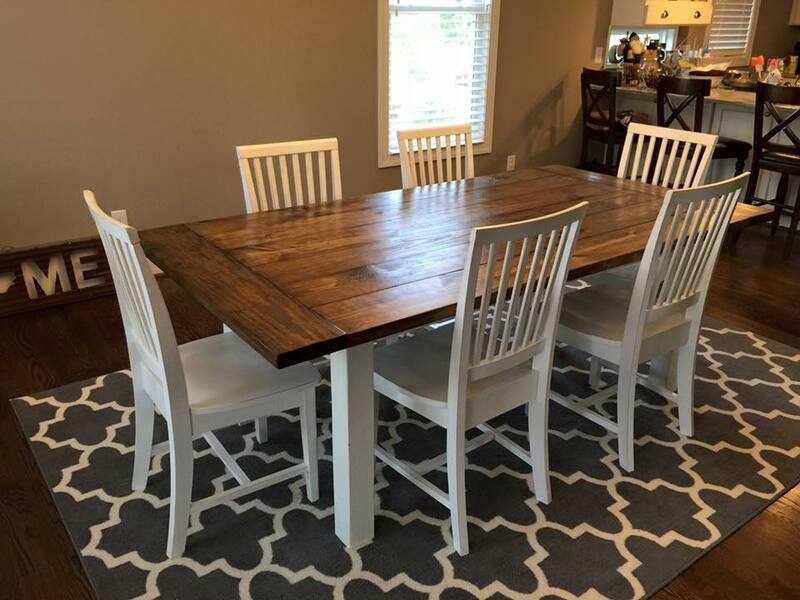 In the rare event that the safety or durability of your farm table is ever compromised, you can contact us immediately and we'll fix or replace your tables at no additional cost to you. These Farm Tables are a great way to maximize seating and style to any kitchen or dining room. Made from solid wood, they are extremely sturdy and are sure to last a lifetime. Each table is meticulously hand-crafted in our shop from start to finish. The whole neighborhood is coming in to have a customized table made, so let's get started on yours today! Click the video below to join Pam & Mack on a tour of The Rusty Bucket. Welcome to Historic Downtown Apex. Pam and Mack searched for a place to build their dream, and fell in love with downtown Apex. When they moved here 13 years ago, there were still some boarded up buildings but what was here was charming. In the past ten years, those boarded up buildings have been renovated, shops and restaurants have moved in and the downtown is thriving. In 2015, Apex was named by CNN and Money Magazine as the NUMBER ONE PLACE TO LIVE in the country.